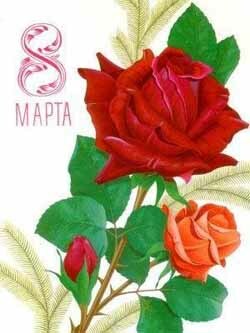 The 8th of March, in Russia, is International Women's Day. Besides Russia and a few former Soviet republics, no one really celebrates it anywhere else in the world. In Russia the 8th of March it’s a Public holiday and a reason for men to show their women how much they care, sometimes spending more money than they do on Christmas gifts. Valentine's Day, in the west, doesn't come anywhere close in spending on flowers, chocolates, diamonds, and other knick-knacks of endearment. How did Russia end up celebrating the international women’s day, which is not celebrated anywhere else? Russian women first observed International Women’s Day on the 2nd of March 1913. They held a demonstration in St Petersburg, which was then Russia’s capital, demanding the right to vote. On the 8th of March 1917, women organized another mass demonstration. Many historians believe this became the start of the Russian Revolution. The Russian Emperor Nicholas II stepped down from the throne four days after the demonstration, and the provisional government granted Russian women the right to vote. International Women’s Day has been a national holiday in Russia since 1918. It became a non-labour day in 1965. International Women’s Day remained a public holiday in the Russia after the collapse of the former Soviet Union. Today it is a holiday to honour motherhood, beauty, and spring. All of you married, engaged or dating a Slavic woman, remember to buy her flowers, (odd number), chocolates, card and any other present that would make her happy. Don’t forget,.. because, if you do, she will never forgive you and you will live to regret it ! A dark and damp basement in Kievsky Station is full of flowers, with buckets of white, red, yellow and pale pink tulips forming a colorful carpet, in sharp contrast to the unfriendly atmosphere. The place is hard to find, since it’s one of the few sales points that remained around the Kievskaya metro station after a nearby flower market was closed last year as part of Moscow Mayor Sergei Sobyanin’s initiative to get rid of street kiosks and stalls in the city center. “I should be appointed a mayor. Then there would be flowers all over Moscow, they’d be sold right in front of the White House,” said Arkhan, a salesman, who declined to give his last name. Arkhan, who brought a Moscow Times reporter to the sales point on Tuesday, said prices for his flowers more than doubled a week before International Women’s Day, as a dramatic increase in demand becomes a traditional bonanza for the country’s fresh-flower industry. The price for Dutch tulips, which normally cost about 30 rubles ($1) a flower, now ranges from 50 rubles to 70 rubles, Arkhan said. Flowers remain the most popular gift for International Women’s Day, which is celebrated in Russia and some former Soviet states on March 8. 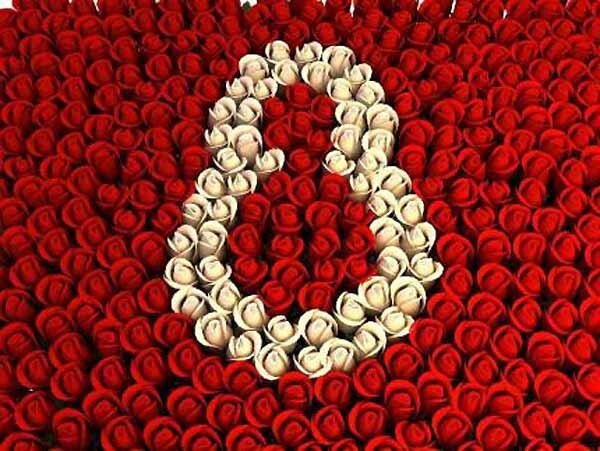 A total of 54 percent of men plan to give flowers as a gift this year, while 45 percent of women hope to get them on their holiday, Interfax reported Tuesday, citing pollster Levada Center. A saleswoman in a kiosk near the Marina Roshcha metro station who introduced herself as Yulia said salesmen have to increase prices along with suppliers located predominantly in the Netherlands and Ecuador. Yulia said prices for her flowers had grown more than 50 percent a week ahead of the holiday. “The Dutch and Ecuadorians know that we have a flower boom once a year,” she said smiling. With about 70 percent of Russia’s import of fresh flowers, Ecuador and the Netherlands are the country’s major suppliers, according to market research company Global Reach Consulting. Other big suppliers are Colombia and Kenya. About 85 percent of flowers in Russia are imported, with the remainder grown in local greenhouses. Moscow accounts for 40 percent of the country’s market for fresh flowers, most of which are sold in markets and kiosks, according to Intesco Research Group. A total of 20 percent to 35 percent of flowers are sold in flower shops. A sales assistant in one of them — an outlet of French chain Au nom de la rose, which focuses on roses — in a shopping center just across from Kievsky Station said prices for their flowers are fixed and don’t increase before the holiday. Prices for flowers imported from Eсuador and Kenya range from 79 rubles to 119 rubles a piece and are set by the company’s French headquarters, the shop assistant said. The overall volume of fresh-flower retail sales declined 5 percent in 2011 to $2.4 billion, as the industry was just recovering after the crisis in the first half of the year, when most of the annual sales occur, Intesco Research Group said in e-mailed comments. The company expects sales to increase 5 percent to 10 percent this year, with growing import volumes being the major driver. Salespeople in kiosks promised that prices would return to the pre-holiday level after current shipments are fully sold out. But regardless of how high prices are, Yulia from the kiosk near Marina Roshcha is sure that she’ll have at least one permanent customer — a man who she said buys his girlfriend 25 roses on the 20th of every month to mark the anniversary of their acquaintance.